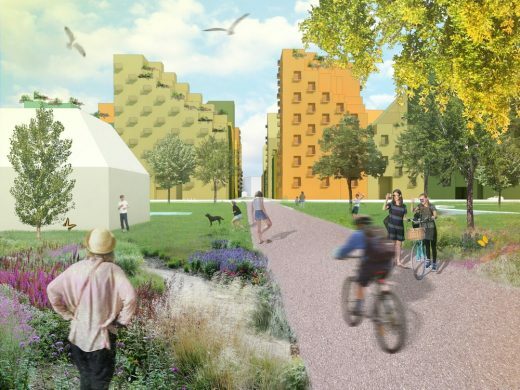 The municipality of Haarlemmermeer approved MVRDV’s urban plan for the new district Hyde Park. Located right next to Hoofddorp station, from spring of 2019, it will be just four minutes by train from Amsterdam Airport Schiphol and twelve minutes from Amsterdam’s business district in Zuidas. The outdated office estate Beukenhorst-West will be transformed into an attractive urban district. By creating high-quality buildings with sound-proof indoor gardens, a sunny and new green city district is achieved. A key feature of MVRDV’s vision for Hyde Park are the ‘cuts’ in the buildings which result in maximum sunlight and park views for residents. Diversity is further achieved by dividing building blocks into various ‘Hoofddorp houses’. 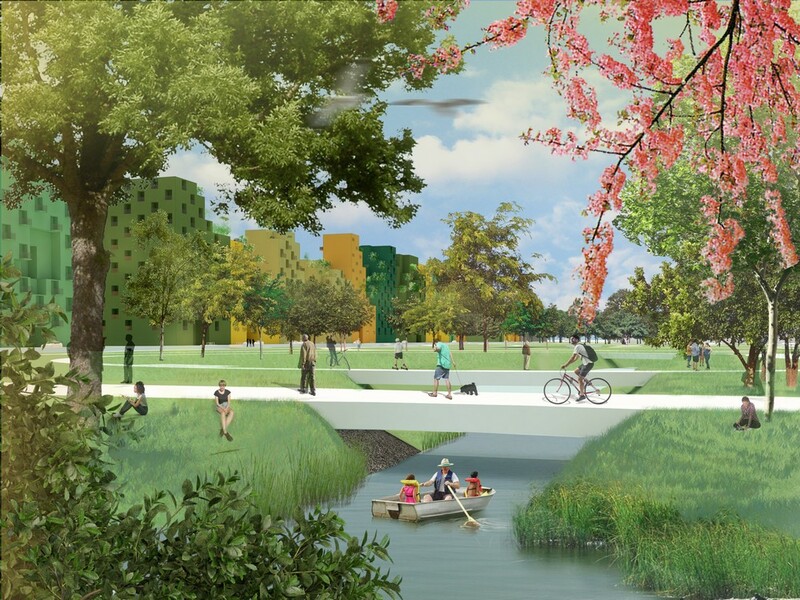 The masterplan contributes to upgrading Hoofddorp into a future-proof and vibrant city where work, living and recreation coexist. 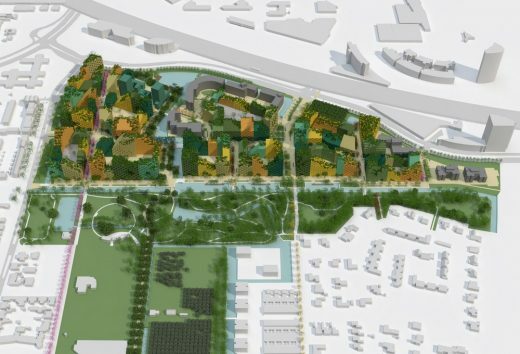 The development of Hyde Park compacts the centre and prevents the development of expansion districts, which means Haarlemmermeer can remain green. Client: Snippe Projecten B.V. and IC Netherlands B.V.